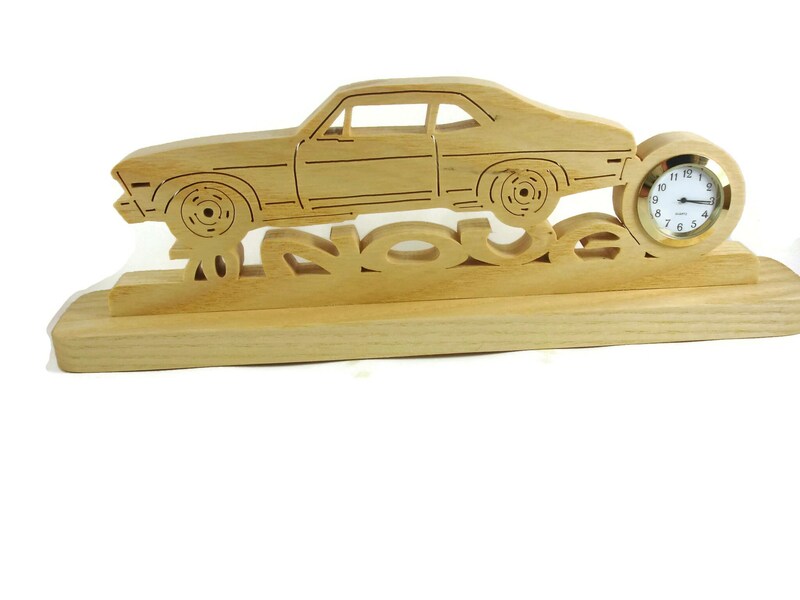 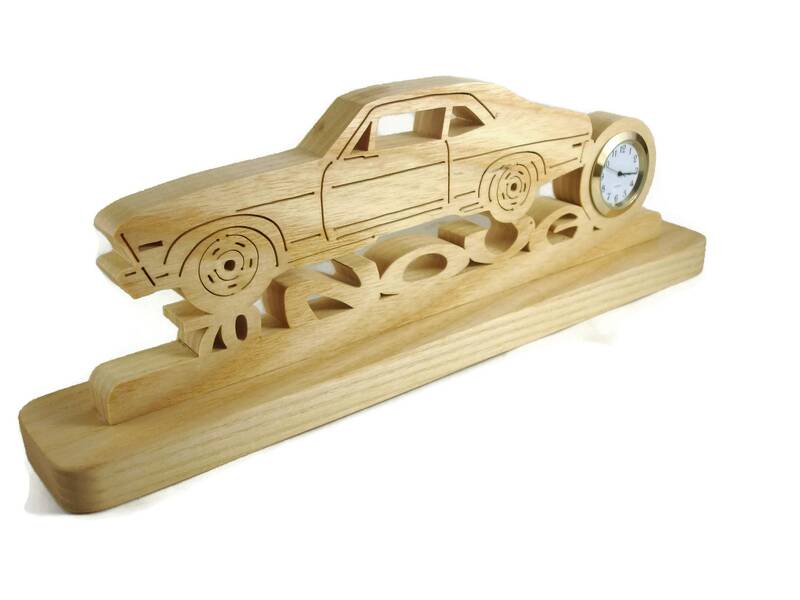 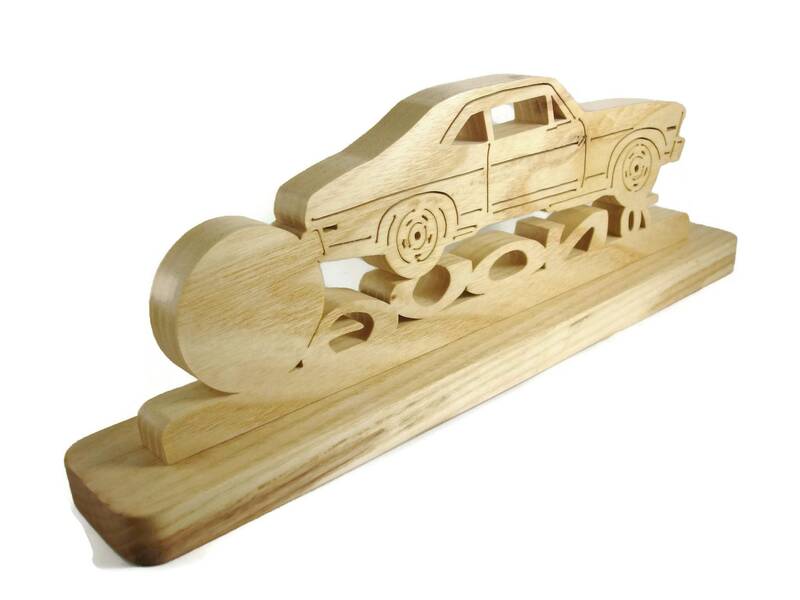 If you or someone you know is a classic Chevy enthusiast then this unique hand cut 1970 Chevy Nova desk or shelf clock is the perfect gift to get for yourself or that special Chevy Nova enthusiast you know. 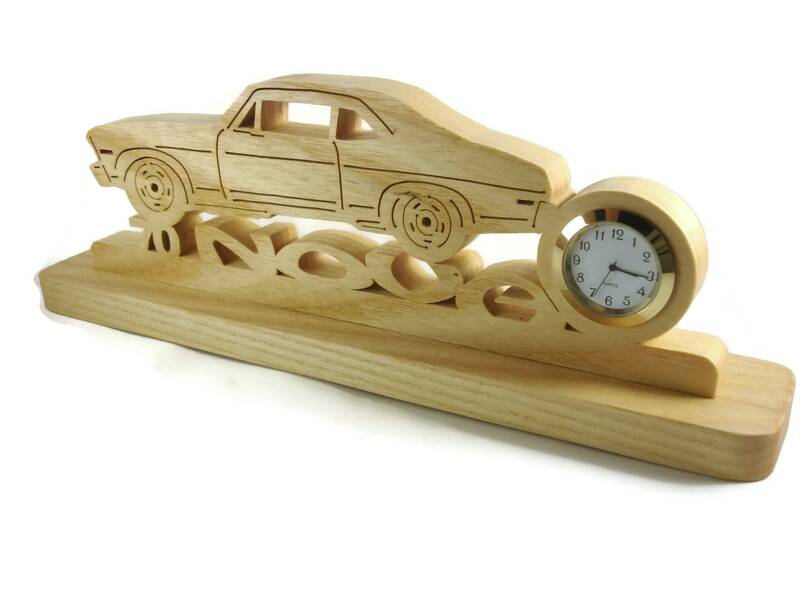 This Nova was cut by hand from 5/8 inch Ash wood using a scroll saw, and features the Nova. 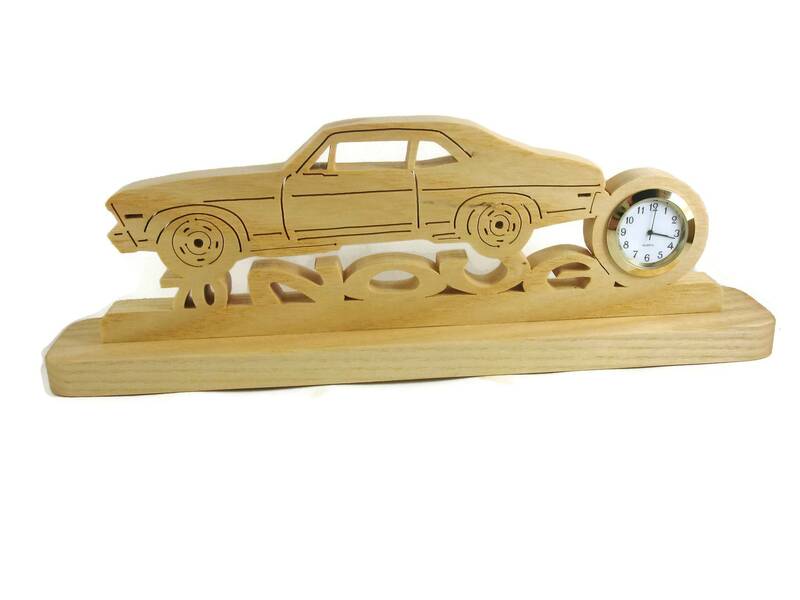 The car is rested on the banner with the words cutout " 70 Nova". 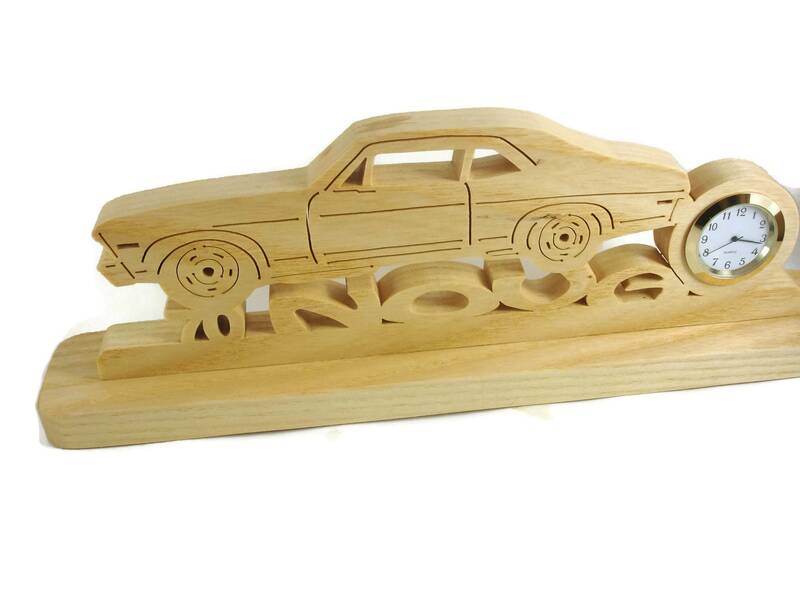 This is mounted to a 11 x 2 inch base for stability. 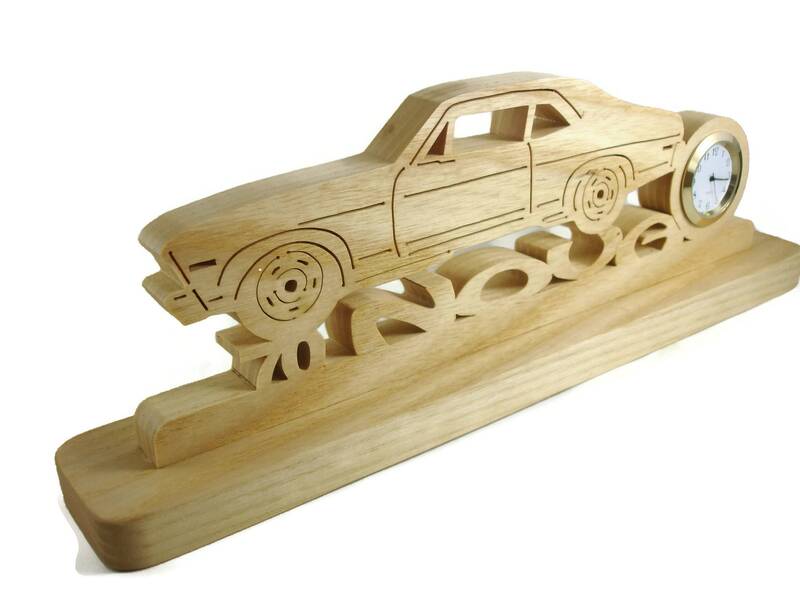 Can be ordered from other types of wood if Ash doesn't match your decor style. 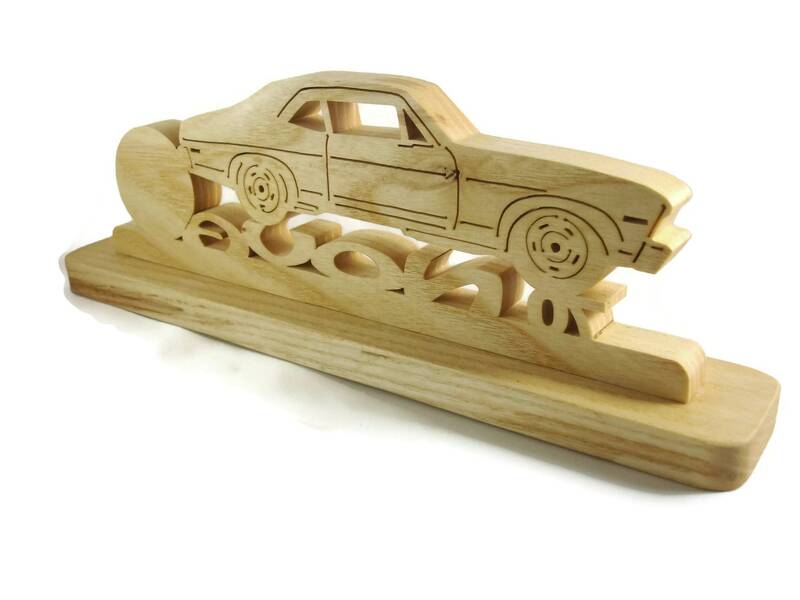 Message me for details and pricing.